A generous donation was made by Gail Chadwick in memory of Shayla. Read more about Shayla. A generous donation was made by Heather McTammany in memory of Bailey. A generous donation was made by Cristi Tombari in memory of Spencer. A generous donation was made by Carolyn Hovious in memory of Sadie Allison and Sturgis S.
A generous donation was made by Lois Ewing in memory of Flippy a much loved girl who died of cancer in 1997. A generous donation was made by Pratima Patil in memory of Taylor Carpenter. A generous donation was made by Mona Stonier in memory of Bandit Fofonoff. A generous donation was made by Marcia Katte in memory of Fred and Buster. A generous donation was made by Patricia Nichols in memory of Hayley, a wonderful English Springer Spaniel, and Toby, the sweetest Brittany!! A generous donation was made by Jeannie Gresko in memory of Sneakers Sekel. A generous donation was made by Katie Ziembo in memory of Henry. 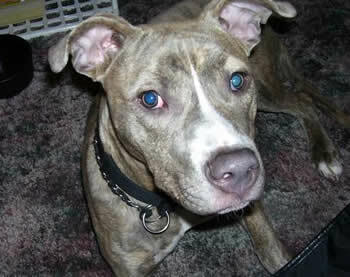 A generous donation was made by Ron McGill in memory of Keno, my first pet and a true family member and friend forever. You are missed and very loved little Keno! A generous donation was made by Lora Jones on behalf of Sir Warwick. Read about Sir Warwick. A generous donation was made by Denise Mendez-Fitzgerald on behalf of two great Goldens, Layla and Murphy. Read about Layla and Murphy. A generous donation was made by Donna Mize and another one by Christie Luke on behalf of Bailey the Beagle. Read About Bailey. A generous donation was made by Cheryl Taverna in memory of Taxi, Trekie, Brie, Brandon, Taylor, Miles and Lulu – all victims of this insatiable disease. Read about Lulu, Trek, Miles, Taylor and Brando. A generous donation was made by Jerry Pepper and Richard Mosher in memory of Sinda. Read about Sinda. A generous donation was made by Jennifer Smaby on behalf of Murphy Brown. Read More about Murphy Brown. A generous donation was made by Melinda Bell on behalf of Ginger Bell. 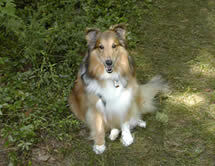 A generous donation was made by Susan Broadwater in memory of Catfish (my beloved dog, I will never forget him). A generous donation was made by Debbie Stober in memory of Nestle Stober. Read more about Nestle. A generous donation was made by Jami Axe in memory of Bailey. A generous donation was made by Marjorie Williams in memory of Shania & Chancey. A generous donation was made by Linda Daugherty in memory of Smokey. 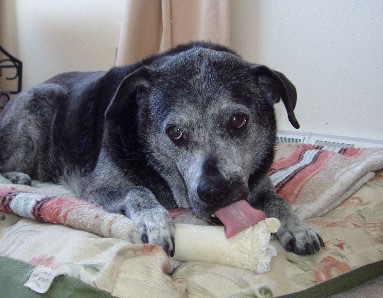 A generous donation was made by Brian Adler in memory of Alfie Adler. A generous donation was made by Marne Tutt in memory of Belle of Tuhon. Read about Belle. A generous donation was made by Susan Bracken on behalf of Cricketlefay who is fighting the battle with Cancer right now. A generous donation was made by Joshua Rymer in memory of Our Beloved Rex. A generous donation was made by Tonya McDaniel in memory of Sir Buster McDaniel. A generous donation was made by Tonya McDaniel in memory of Paddles ’’The Queen’’. A generous donation was made by James Robertson in memory of Boone. A generous donation was made by Lugene Wyland in memory of Mira. A generous donation was made by Anne Oden in memory of Chile Bean Blackfoot. A generous donation was made by Juliet McDaniel in memory of Winston. A generous donation was made by Mary Costellol in honor of Lakota Costello. 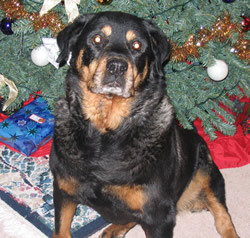 A generous donation was made by Hilary Mercer in memory of Xena Yeiser. A generous donation was made by Gary and Susan Allison in honor of Tut who was recently diagnosed with Cancer. Tut is loved by Guy and Maureen Smith. A generous donation was made by Kristen Crawford in memory of Sunshine. 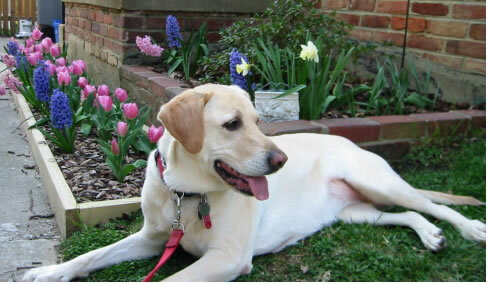 A generous donation was made by Mary J. Wegrzyn in tribute of Gus Puppy for his on-going battle with T Cell Lymphoma. A generous donation was made by Amy Hammond in honor of Brandy. 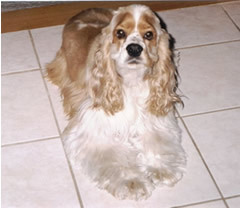 A generous donation was made by Barbara Mayer in memory of Wesley and Dolly. From Australia,A generous donation was made by Melanie Silvester in memory of Mack. A generous donation was made by Frank Salvato in honor of Reilly & Coulter. A generous donation was made by Ann Compton in memory of Scruffy. 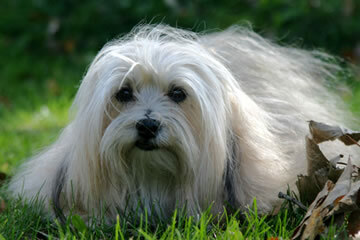 Read About Scruffy. A generous donation was made by Sara Buchholz-Haddon in memory of IceMan. A generous donation was made by Paula Fairfield in memory of Shakespeare. 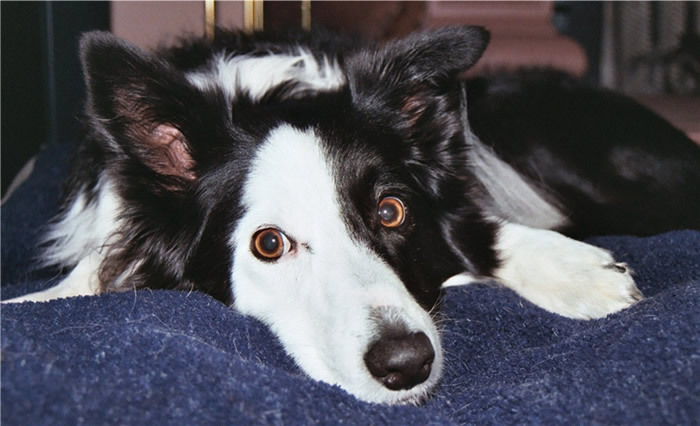 A generous donation was made by Paula Fairfield in memory of Tasha. A generous donation was made by Vanessa Vanloan in memory of Chief. A generous donation was made by Donna DeaFalcis in memory of Donar. 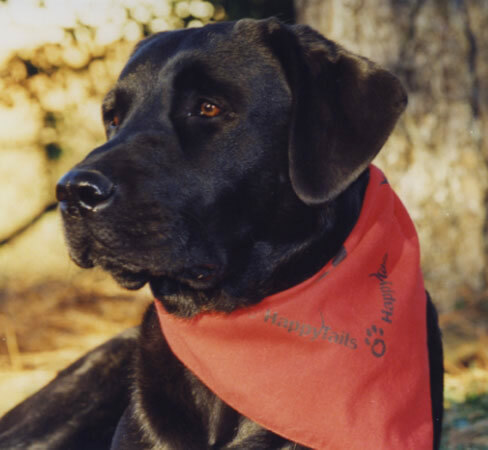 A generous donation was made by Judith Anderson-Wright in memory of Sampson, Golden Retreiver. A generous donation was made by Dika Golovatchoff in memory of Genevieve, my golden retriever who died last summer of cancer. Read about Genevieve. Read about Genevieve. A generous donation was made by Karyn Beyer in memory of Cricket, Spencer and Sedona. A generous donation was made by Laura Elder in memory of Precious. 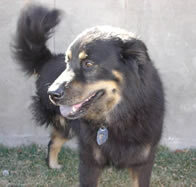 A generous donation was made by Katrina Raffaelli in memory of Poohbear. A generous donation was made by Cindy Slack in memory of in honor of Sidney Ru. A generous donation was made by Cathy Scuto in memory of Beowulf. A generous donation was made by Hal Wood in memory of Magnum. A generous donation was made by Diane Wells in memory of Casey who is missed. 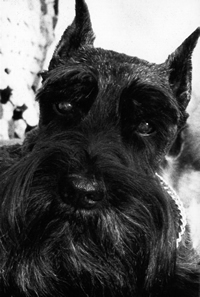 A generous donation was made by Melinda Saulson in memory of Goldie Reynolds Saulson Arnoff. A generous donation was made by Tracey Ambery in memory of Mars. A generous donation was made by Cynthia Hertel in memory of Haley. 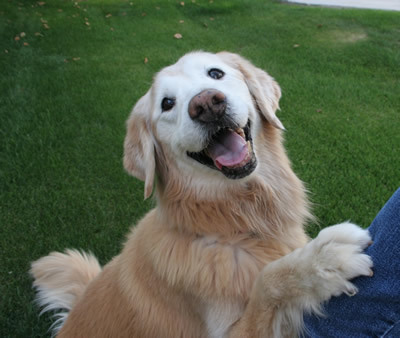 A generous donation was made by Susan Tsang-Guarracino in memory of Hubert, our beloved Golden Retriever. A generous donation was made by Hungry Hound Dog Bakery on behalf of Chelsea and Lucy. A generous donation was made by K-9 to 5 Pet Sitting Service in memory of Lady Ann-Margret. (Maggie).Our first bully girl, died at age 6 years 8 months of liver cancer. 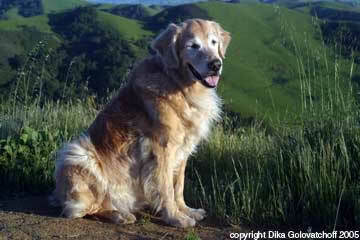 A generous donation was made by Karen Kavanagh on behalf of Rocket, a wonderful Golden Retriever. 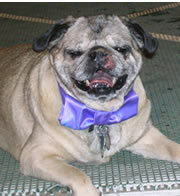 A generous donation was made by Jennifer Peel in memory of my best friend, Baxter. A generous donation was made by Jessica Billington on behalf of Izzy. A generous donation was made by Lori’s Stuff in memory of my best friend Grant Lewis. 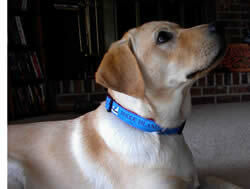 A generous donation was made by Carmen Kuefler on behalf of for my lab mix Jake fighting right now with osteosarcoma. A generous donation was made by Lori’s Stuff in memory of our Beloved German Sheppard “Wisdom.” Long may you run free and be well forever!. A generous donation was made by Sherry Drummond-Moss on behalf of Holly, Mac, Bonnie, Ferris, Baron, Sport. A generous donation was made by Tina Boarman in honor of Sadie (Pembroke Welsh Corgi) battling basal cell carcinoma at the base of her left ear. A generous donation was made by Leighann Larson on behalf of Dakota. A generous donation was made by David and Noreen Stewart in memory of Morgan T.
A generous donation was made by Gwendolyn Krestel in memory of Paulette’s Golden Retriever mix George. A generous donation was made by Susan and Gary Allison on behalf of TUT who has been diagnosed with Cancer. Tut is loved by Guy and Maureen Smith. A generous donation was made by Leslie and Dennis Deering on behalf of Hannibal. A generous donation was made by Alice Marsh on behalf of Ch. Bellade Balle. A generous donation was made by Mark,Merrit & Juli donate in the memory of our little sweetie “Molly” We love you! A generous donation was made by Sally Teixeira on behalf of Sidney Roo Iwlew. 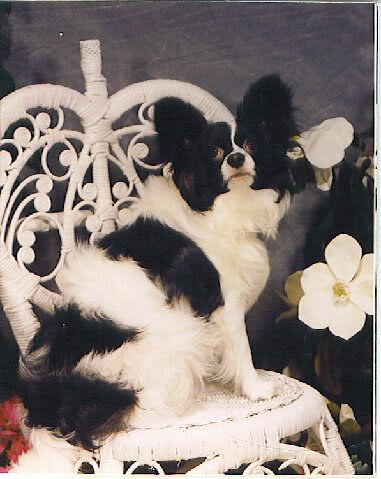 A generous donation was made by Sheila Smith on behalf of Peppy, I just found out my little papillon has lung cancer and I hope we caught it in time! A generous donation was made by Kerri Zauner on behalf of Molly DellaCorte. See more pictures of Molly. A generous donation was made by Kerri Zauner on behalf of Holly Read about Holly. A generous donation was made by Leonie Schultz in memory of their two beloved Pekingese, Gigi and Fine Frost. 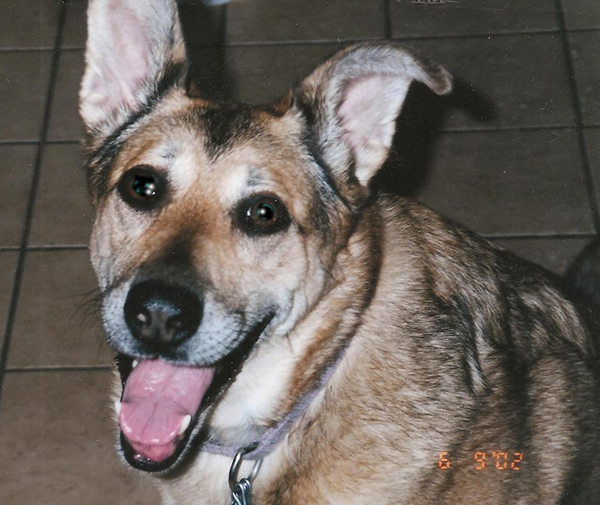 A generous donation was made by Erin Kinney in memory of our forever wonder-mutt, Jasmine. To read more and a very great chronlogical story of Jasmine treatments for cancer, click here. A generous donation was made by Jeanette Zinn-Boyce on behalf of CH. Pendragon Hailstone Highlander. A generous donation was made by Megan Goolsby on behalf of Brutus. A generous donation was made by Deborah Johnson memory of our beloved golden Chuck. We lost him suddenly to cancer at the age of 12. He was and always will be a life long friend. Not a day goes by that our family does shed a tear or smile at a memory of him. We can only hope this does not happen to our golden puppies, Scout and Charlie. 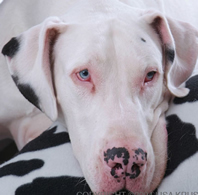 Please find a cure or a faster way of detecting cancer in dogs. A generous donation was made by Adina Perez in memory of our Mika. 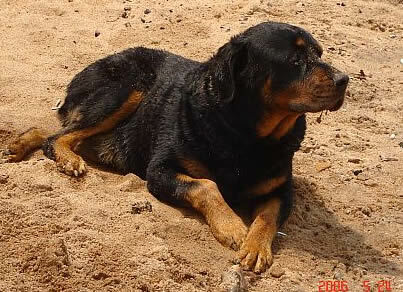 A generous donation was made by Tom Rhoads in memory of Zena. A generous donation was made by Denise Arbogast and Patty Keim in memory of JJ Flack. 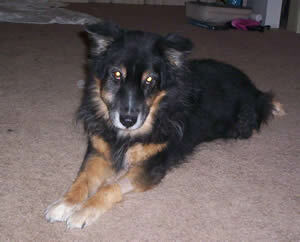 A generous donation was made by Shelley Lickfeldt in memory of Dakota who I lost to hemangiosarcoma on 9-15-2004. A generous donation was made by Roger Pope in honor of my beloved Sissy Dog. A generous donation was made by Katie Doll and Tom LeClair in honor of ‘Melvin’, a beautiful Bassett Hound that just passed away from cancer.